Japan Summer Music Festival Guide: Oh No, Let’s Go! 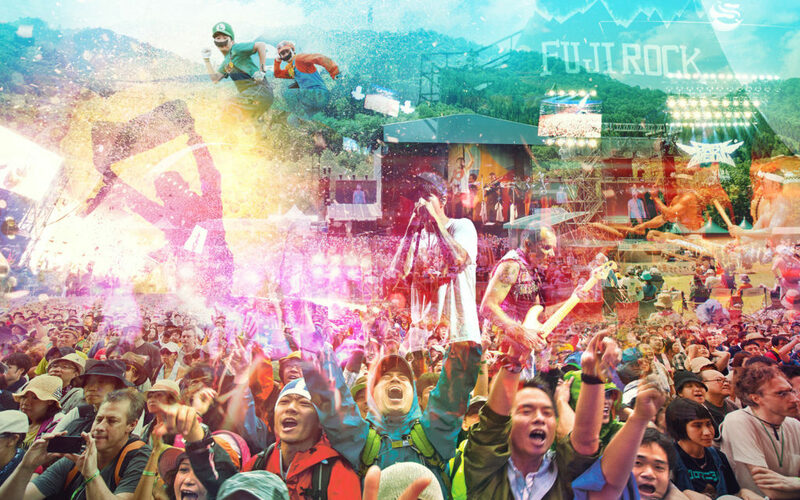 Fuji Rock, Summer Sonic and the whole shebang offer up your choice of rock, pop, jazz, EDM and more in the great outdoors. Festival diehards have by now mapped out their summers, but the rest of us may just be starting to consider our summer music festival plans. From pricey weekend blowouts to in-town afternoons to far-flung island adventures, Japan’s music festival scene caters to every style and budget imaginable. Recent years have even seen an influx of Asian visitors making Japan’s music fests part of their destination travel, easing the challenges facing the music biz in the form of the nation’s youth population crash. The Green Stage at Fuji Rock Festival comes alive at night. 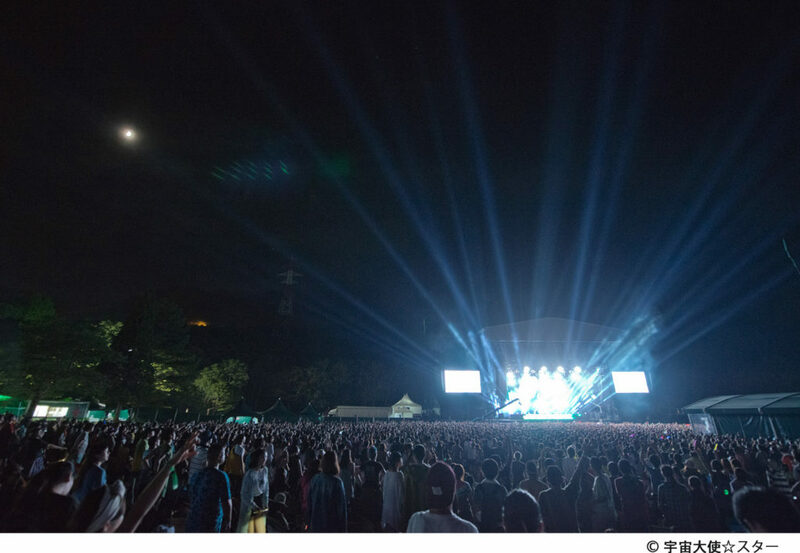 The granddaddy of the lot, Fuji Rock Festival, takes a different tack for its 2018 edition at its traditional location deep in the Niigata mountains. In place of the rock and electronic acts that have dominated recent lineups, promoter Smash opted to lead Friday and Saturday nights with hip-hop artists N.E.R.D and Kendrick Lamar. Closing the event Sunday is 77-year-old troubadour Bob Dylan & His Band — a first for a major Japanese rock festival. The two-pronged strategy targets millennial and boomer demographics, while offering Gen Xers second-tier artists like Jack Johnson and Fishbone. It will be intriguing to see how the audience receives the politically “woke” material of Lamar, who won a Pulitzer Prize for last year’s DAMN. Pharrell Williams’ N.E.R.D has also just issued a politicized new album in the form of No One Ever Really Dies, on which Lamar and many other hip-hop luminaries feature heavily. While these acts top the bills on the largest Green Stage, the lesser stages will offer up a wide number of excellent and intriguing artists, some of them performing in Japan for the first time. Anderson Paak & the Free Nationals smash together hip-hop and alt-R&B willy-nilly to uproarious effect, while David Longstreth’s The Dirty Projectors are this generation’s answer to the stylistic mashups pioneered by Beck. 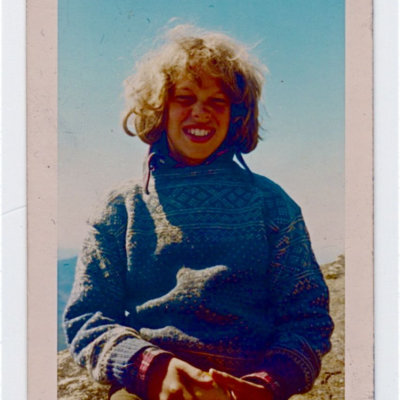 Also, check out the impossibly talented indie-rockers Tuneyards, reunited Brooklynites Vampire Weekend and shape shifting guitarist Marc Ribot’s Ceramic Dog. For those with a domestic angle, stalwart Japanese rock bands Sakanaction, Maximum the Hormone and Elephant Kashimashi cater to different age groups, while a slew of local wannabes will enliven the Rookie A-Go-Go Stage right outside the gate. Location: Naeba Ski Resort, Niigata Pref. A main stage at Summer Sonic ignites the crowd. The easy urban alternative for both Tokyo and Osaka folks to Fuji Rock’s weekend wallet blowout, Summer Sonic’s 2018 bill more closely resembles the typical approach of a yogaku (Western music) festival. Oasis veteran Noel Gallagher’s High Flying Birds and mercurial rocker Beck top the lineup respectively Saturday and Sunday at the Tokyo edition in Chiba’s Makuhari Messe, with the Osaka installment flipping things around. Both acts have led previous bills at either Fuji Rock and Summer Sonic. Gallagher arrives with his group’s third album, Who Built the Moon, while Beck recently released the dance-oriented Colors. Alt-rock and metal are represented abundantly in the form of Queens of the Stone Age, Nickelback and Mastadon, while frothier indie-rock is present with appearances by scene-leaders including Australia’s Tame Impala and New York diva St. Vincent. Hip-hop makes a showing with Chance the Rapper atop the bill Saturday in Osaka and Sunday in Tokyo. But less mainstream black music is more the focus, with Tokyo’s Beach Stage offering up the likes of the indefatigable funk legend George Clinton as well as saxophonist Kamasi Washington and bassist Thundercat, both of whom are finding ways to reinvent jazz as a popular 21st century music form. Some of these acts will be in Tokyo a day early to support Nine Inch Nails and My Bloody Valentine for the Friday night mini-festival Sonicmania, an event fast becoming a destination in its own right. Tokyo Tickets: ¥16,000 (1 day) ¥29,000 (2 days), Sonicmania ¥12,000. Westerners may be lulled by the scale of Fuji Rock and Summer Sonic into an outsized view of the influence of international music in Japan. In fact, domestic product rules the market and numerous festivals cater strictly to fans of Japanese music. The crowd at Rock in Japan Fes shows its approval. In between Fuji and Summer Sonic is Rock in Japan Fes (Aug. 4&5 and 11&12). 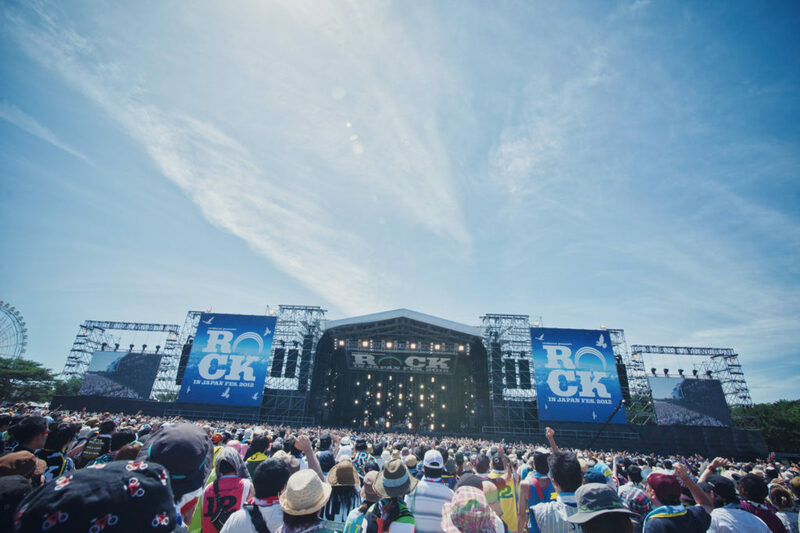 A two-weekend juggernaut run by the magazine Rockin’on, the event offers a slew of mainstream rock and pop acts like Uverworld, M-flo, Superfly and Asian Kung-Fu Generation in a placid seaside park in Ibaraki. A bevy of local festivals offer pleasant outings in other parts of the archipelago. Heading north to Hokkaido, Rising Sun Rock Festival (Aug 10&12) presents a lineup similar in its J-rock spirit to Rock in Japan, with younger acts Ame no Parade and Suiyoubi no Campanella facing off against veterans Guitar Wolf and Brahman. 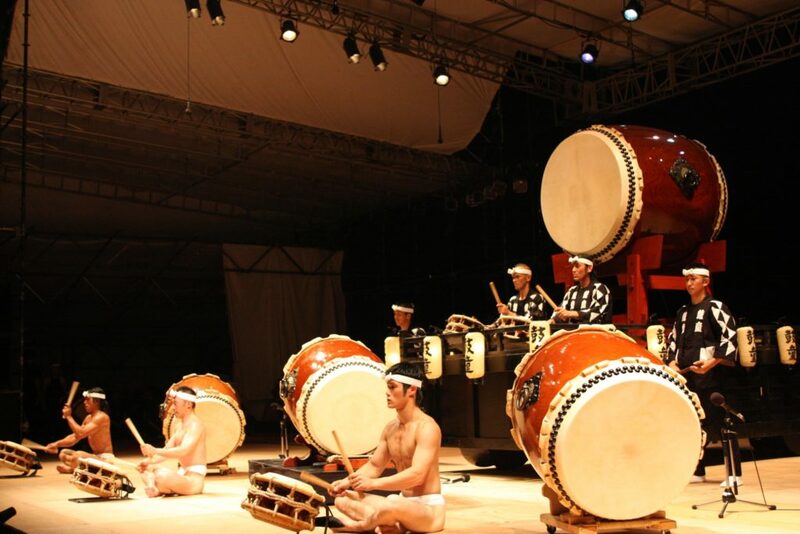 If rock isn’t your bag, consider the Kodo drummers’ annual Earth Celebration (Aug. 17-19), a weekend of taiko drums, music and crafts workshops, and daytime beach frolicking on Sado Island in the Japan Sea. 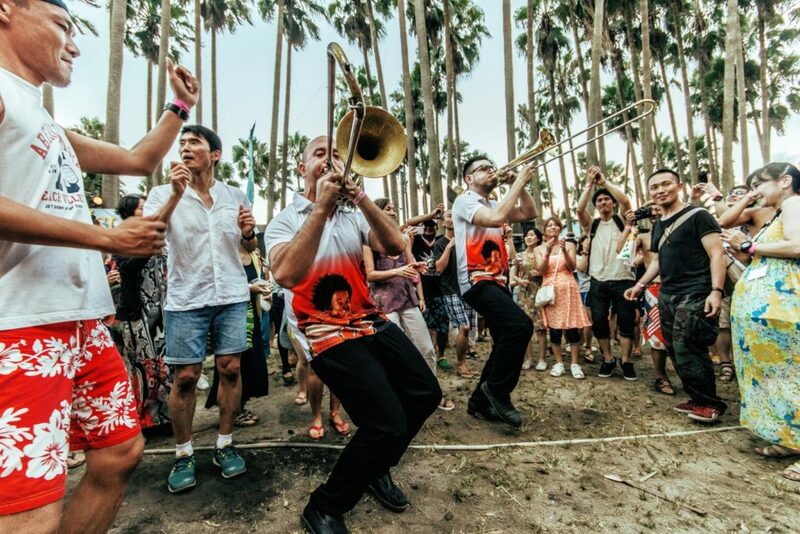 For Latin lovers, Isla de Salsa (Sep. 2) is a world beat festival featuring some of Latin America’s finest acts including Cuba’s Maykel Blanco at an island campground in Fukuoka. This year, it’s preceded by a first-ever Fukuoka Salsa Festival (Aug. 31-Sep. 1). Getting into the groove at the Isla de Salsa in Fukuoka City. 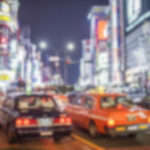 Back in Tokyo, the same weekend sees Tokyo Jazz (Aug. 31-Sep. 2) move from central Tokyo to Shibuya, where it will occupy NHK Hall, WWW and WWW X, the Cerulean Tower as well as outdoor spaces across from Yoyogi Park with acts including Herbie Hancock and the All-star Maestros. Hands-in-the-air dance music aficionados are also well-catered to in the form of Ultra Japan, which will blow minds at the Tokyo Odaiba Ultra Park (Sep. 15-17) with three days of beats and visual pyrotechnics boasting the likes of EDM hitmaker Alesso and old-school house producer Carl Cox. Those into a more rarified outdoor raving experience head instead to Labyrinth (Sep. 22-24), which brings technophiles to the same Naeba Ski Resort location where Fuji Rock is held each year. Ticket sales are limited to maintain the event’s intimate flavor and sell out well ahead. If you’re interested in another techno festival with a reputation for quality (this one is in July), Rural (July 14-17) celebrates its 10th edition on a mountainside campsite in Nagano this year. Some intriguing acts are on the bill, like Brooklyn’s Antenes, who DJs and performs live with a modular rig constructed from telephone switchboards. A selection of other overseas guests and domestic producers including Akiko Kiyama and DJ Nobu fill out the bill. Also: glamping and teepees available for stays under the stars. What’s your favorite summer music festival in Japan? Let our readers know in the comments! Looking to liven up your time spent studying Japanese? 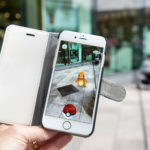 Step up your game with these, well, games. At first the words for the internet can seem somewhat easy after all — a lot of them are English. However, once you try and get online, the words become increasingly difficult. GaijinPot investigates.